I’m a big fan of kids creating their own art, it’s probably my favorite thing to do with my daughter because I can tell that she truly enjoys it. There is nothing to practice with art or to master for a child, they are free to just make. 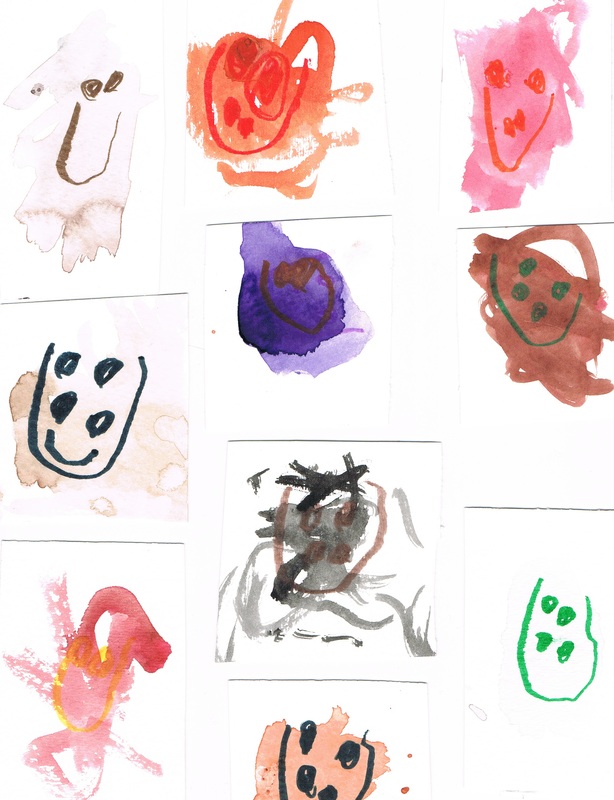 Here is a fun project Gemma made recently that is great for letting kids harness their inner artist; I call it 19 faces. I cut some watercolor into small squares (2-3″) and set them all up on her table with watercolors, brushes and water. She thought it was really cool that there were so many pieces of paper for her (about 20). She would quickly paint on one and then move to the next. Some she spent longer on and some she just breezed through. The great thing was she was having such a good time with her kid-sized media. Sometimes that’s all it takes to make a kid smile, kid-sized anything. After all of these pieces were dry we revisited them in the evening and I gave her a few markers and showed her that if we drew a face on one of her little paintings it could turn into a little being. She LOVED this idea and task and quickly jumped in making face after face until there were 19 different little personalities. It was great fun and she really enjoyed telling her dad about each one. 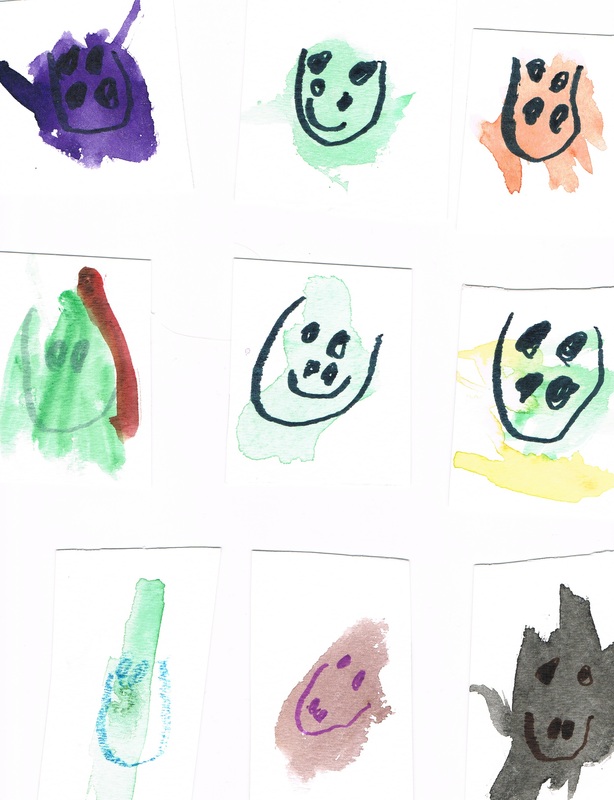 Great, simple project for kids to let out some individuality.